The Miam La Maven Charity Poker Tournament event aims to raise awareness and aid in saving the lives of children and animals, the most innocent in our community. Proceeds benefit us and UCLA Children’s Hospital innovation division. Hosted by The 2018 World Series of Poker’s Main Event Champion John Cynn and Live at The Bike! 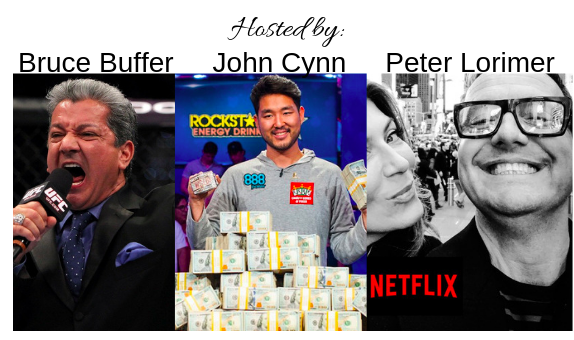 and emceed by UFC’s Bruce Buffer and Peter Lorimer from the Netflix hit show “Stay Here“, the poker tournament includes complimentary lunch, a sponsored bar, other casino games, raffle, zen relaxation lounge, MMA club, puppy play area, and much more. Doors open at 12pm followed by a Q&A with 2018 WSOP Main Event Winner John Cynn before the tournament, itself, takes place from approximately 1pm-5pm with two breaks at 3pm and 4pm. If you’re free on November 11th, we hope to see you there! Get your tickets for the Mia La Maven No Limits Charity Poker Tournament and have a little fun before the holiday season takes off. To stay updated on all the events we are involved in, visit our website Wags and Walks and follow us on Instagram, Facebook, and Twitter. Also, don’t forget to sign up for our e-mail newsletter.